No time to fix a nutritious meal? With a busy lifestyle, there isn’t always the time to strictly adhere to your diet and get the proper nutrition that your body craves. 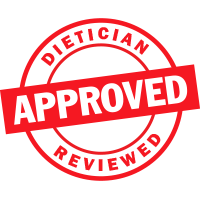 That’s why at Diet Direct, we offer a wide selection of delicious meal replacement shakes and bars that provide complete nutrition for a healthy meal alternative. These meal replacements for weight loss have been hand-picked by our diet and nutrition experts. They’re scientifically formulated with the right combination of protein, fats, carbs, vitamins and minerals for efficient weight loss while keeping you healthy and active. With high-quality weight loss bars and shakes that are convenient to use, you’ll have an easier time sticking to your low-calorie diet, which means you’ll be able to achieve your weight loss goals! What Are the Best Meal Replacement Protein Shakes? When choosing between meal replacement shakes for effective weight loss, make sure that the product has high-protein and is low in carbohydrates, calories and fat. It should also be enriched with essential vitamins and minerals, and be free of saturated fats and trans fats. The best protein meal replacement shake will help you to burn fat and lose weight while staying healthy. We carry technologically advanced meal replacement shakes that are packed with goodness, and that includes good taste! You’ll discover exceptional protein shakes from leading diet nutrition brands such as WonderSlim®, BariWise™ and Bariatric Advantage. WonderSlim offers various meal replacement pudding/shake products in sumptuous flavors. You can mix them with water or non-fat milk for a frothy shake or creamy pudding. It’s gluten-free goodness! BariWise Meal Replacement shakes are a very high-protein supplement which is free of gluten and aspartame. This energy booster is packed with 19 vitamins and minerals. There are also high-protein meal replacement shakes from Bariatric Advantage, Bariatric Fusion and ChocoRite. For the ultimate in “grab-and-go” convenience, browse our WonderSlim high-protein meal replacement nutrition bars. 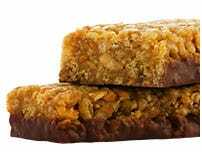 They fit easily into a pocketbook, backpack, briefcase or laptop bag to satisfy hunger, cravings and the need for a protein and energy boost at any time. We Guarantee 100 Percent Satisfaction! 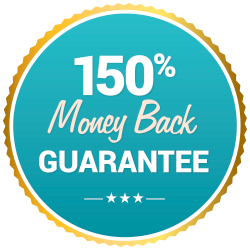 We proudly offer a Money Back Guarantee on all Diet Direct purchases.